Howdy everyone. Lots of people love the monkeys it seems. Of course who doesn’t? 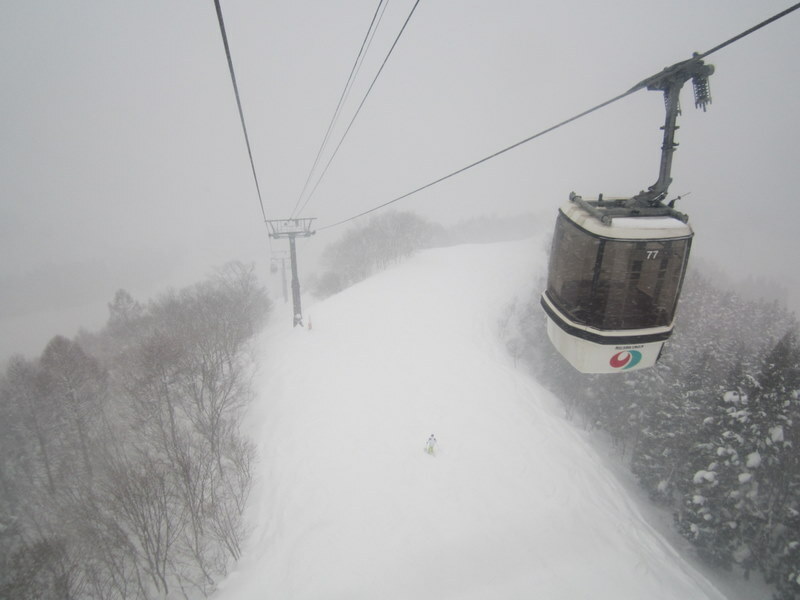 Today was all about another reason to come to Nagano… hitting the slopes. While I used to do a little snowboarding back in the day I hadn’t been on a board in about 6 years. But when you are in a locale that has some of the best snow in the world, why wouldn’t you get back on the horse. There were decisions to be made about where to go. 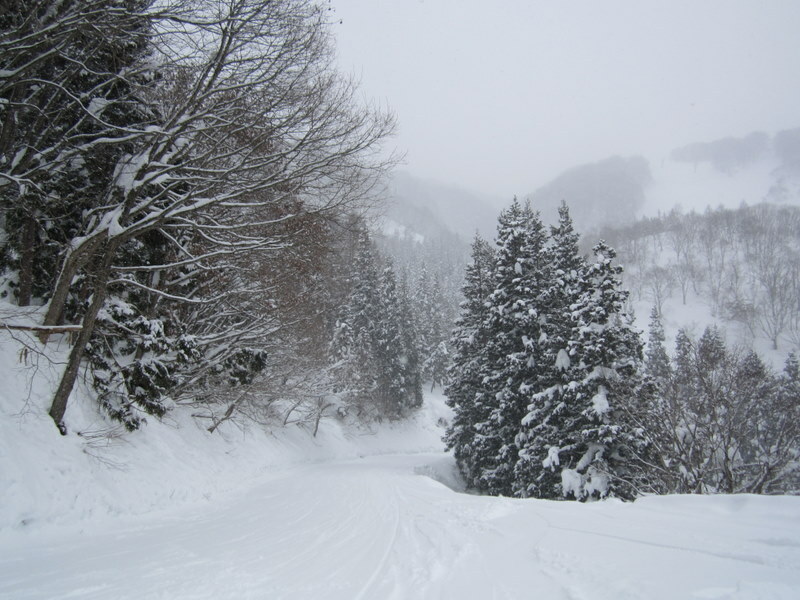 Shiga Kogen seems to be the biggest and baddest in the area, but I had read a bit about Nozawa Onsen. 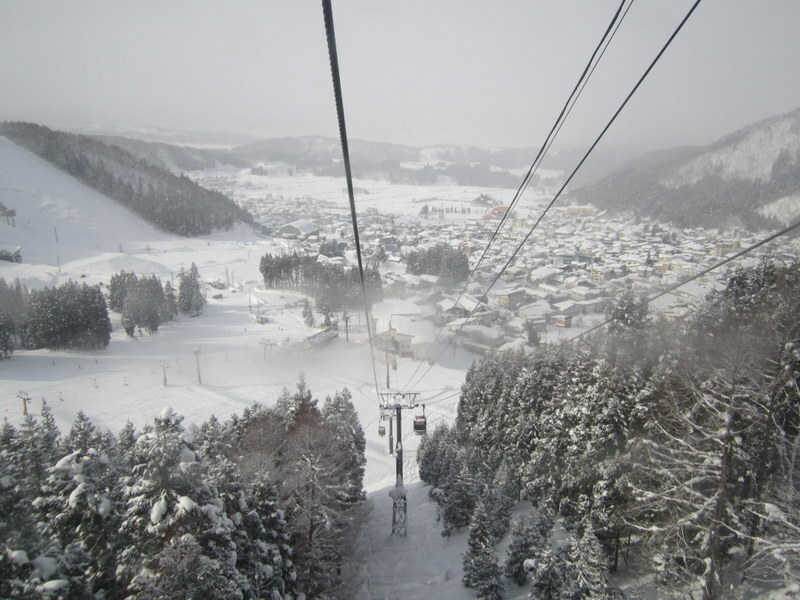 It is more of a ski village proudly boasting a dozen public onsen along with many many runs, lifts, and gondolas. I bumped into a couple of Aussies yesterday who talked it up, so I thought that sounds like the place for me. 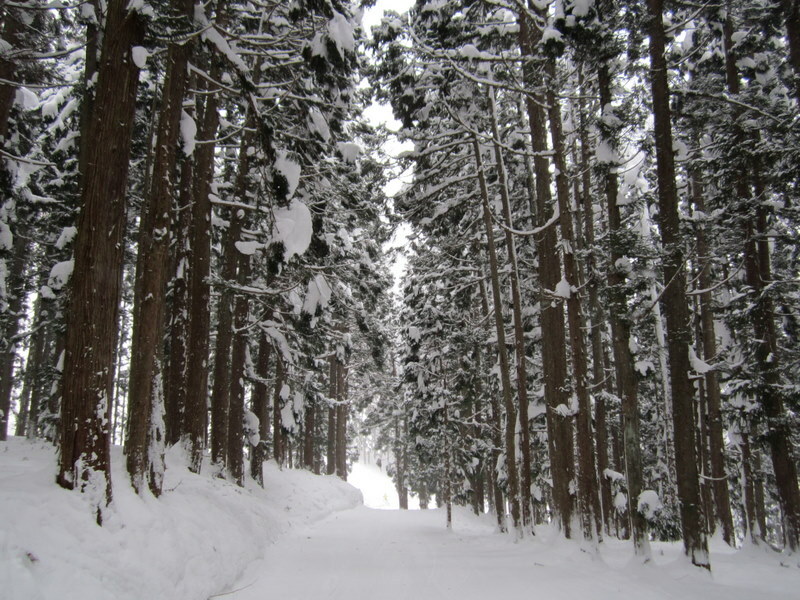 When I left the ryokan this morning, it was cold, colder than I had experienced all trip. And snowing, big massive snowflakes. It was pretty sweet (for the moment anyway). 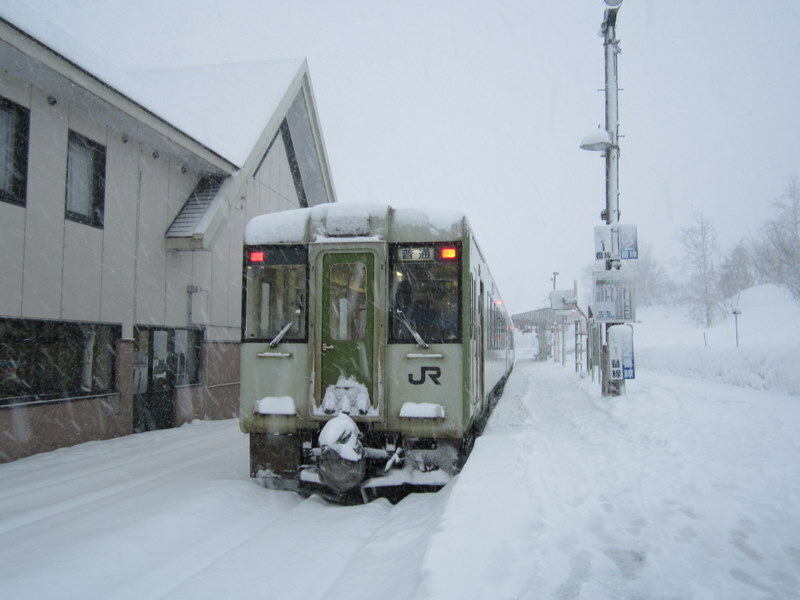 So off I went to jump on a train to get me close to Nozawa Onsen, with just a quick connecting bus. It is worth pointing out the train I caught. I am used to even the older Japanese trains being comfy, but this was old school. Not even heated seats! Anyway it got me to the train station at the other end and with a quick bus shuttle I was in the town. By this time it was approaching 10am, so no time to dilly dally… best get on the slopes! A quick board and boot hire and a lift ticket and I was done. Must also point out how nice it is to pay about 60 bucks for a lift ticket as opposed to 100+ back home. Nuts. Now given I hadn’t been on a board in years so I stuck to the green runs. The best way to go seemed to catch the gondola straight to the top of the mountain. And it was a loooong way up. Before me I had about 9km of trail to get back to the bottom. Yep, 9km. The path changed from open play area, to windy paths through the trees and it was amazing. I must say I got my confidence up pretty quick. I found turning much easier than I remember from back in the day. The snow was still falling and while it was OK, it was being a bit of a pain (and keeping things cold… minus 6 degrees on the mountain). By the time I got to the bottom of my first run I was feeling pretty pleased with myself. So did I rest? Nope, straight back up. In the end I did that a number of times, doing slight variations on the way down each time. Unfortunately has the day progressed the snow got worse to the point I had to call it at about 3pm. No harm though, as I did about 5 hours of virtually non-stop boarding. Given it was an onsen town though, I had to have a dip, so picked a public bathhouse at random. Turned out I had it all to myself. With a true onsen like this the water comes straight from the ground. To me it felt like it came straight from the centre of the earth… oh man it was like lava. I like a hot bath but this was a little much. So after that dip it was back on the bus then train to Nagano. Snow was relentless and didn’t let up the whole way back. So a soak in the tub here at the ryokan and I was done. 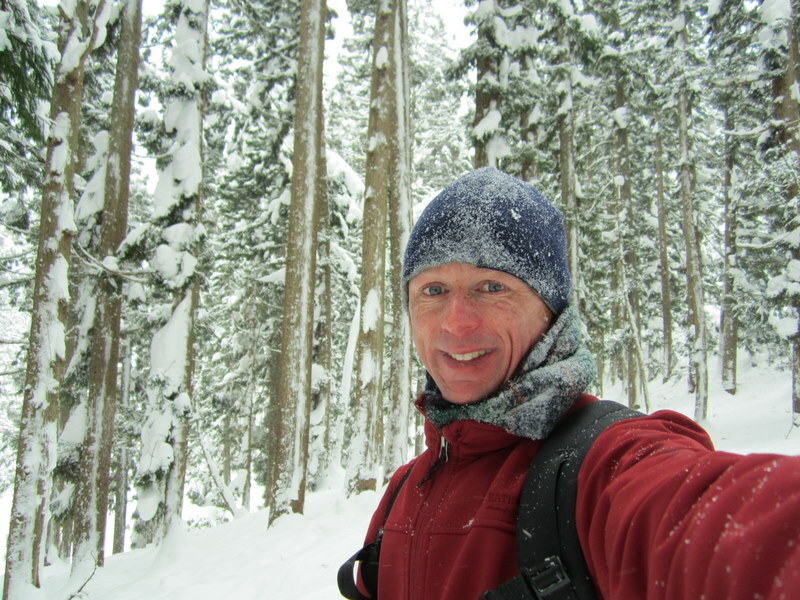 The body is still feeling good, so looks like I will strapping the board back on when I reach Hokkaido. Bring it on. Ahh…so that is where all the snow went!!!! Sounds like a great day out. I am GREEENNN with envy!! !